Cannabis is allowed for medicinal use in the Netherlands. On September 1st 2003 the Office of Medicinal Cannabis started delivering cannabis with a medicinal grade to patients through pharmacies. Behind this process are different laws, nationally and internationally. Internationally there is the Single Convention on Narcotic Drugs (1961). Article 28 of this Convention says that if a country allows the growth of Cannabis it has to do so under supervision of a government agency. In the Netherlands, that agency is the Office of Medicinal Cannabis (OMC), which is a part of the Ministry of Health, Welfare and Sports. On international level, the International Narcotics Control Board (INCB) oversees all action of our agency. On national level, we have the Dutch Opium Act, which has been altered in March 2003. In the Netherlands, growing cannabis is forbidden unless the company has a permit. In the Netherlands, one grower has a permit to grow medicinal cannabis for pharmacies. It is legal for the OMC to deliver medicinal cannabis to pharmacies and for pharmacies to supply the medicinal cannabis to patients (on doctors prescription only). 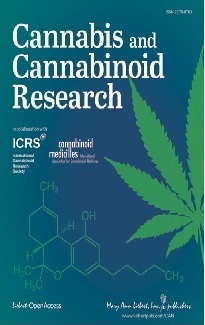 In addition, standardized cannabis is available for scientific research and product development. In October 2006 the highest Dutch court decided to not punish a patient, due to a situation of emergency, which grew his own cannabis plants. This judgment was exceptional and only for this individual patient, so it doesn't mean that patients are free to grow themselves. In February 2017 another patient had the same judgment. The OMC is the official wholesaler of medicinal cannabis. Therefore, they set up a whole production and distribution chain for now four varieties of cannabis: there is a contracted grower and a packaging and distribution company. To ensure that patients receive cannabis which is standardized, safe and efficacious, the OMC has slightly fitted in with the European Guideline for Good Agricultural Practice for Growth of cannabis for medicinal purposes. The grower that is contracted grows his cannabis according to this GAP-guideline. All batches of medicinal cannabis which have been cultivated have to meet the quality requirements which BMC has defined. The OMC provides a quality system to ensure that the cannabis the patients receive is qualitative good and safe. For this purpose, the OMC has contracted a GLP – certificated laboratory. A monograph is available which connects with the requirements of the Ph. Eur. The medicinal cannabis is tested on contents of cannabinoids, content stability, humidity, microbiology, pesticides, heavy metals and aflatoxins. Every batch medicinal cannabis comes with his own release certificate with all relevant information. These are available through the website www.cannabisbureau.nl. 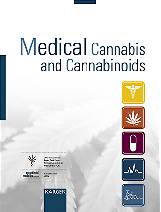 The estimation of patients that use medicinal cannabis through pharmacies in the Netherlands is about 2000. However, the total amount of patients who use cannabis for medical reasons is expected to be much higher. Probably still many patients obtain cannabis through the coffeeshop and the illegal circuit. Local production is made by Bedrocan in Veendam and is distributed by pharmacy (OMC arranges this). In Tilburg (a city in the Netherlands), patients are allowed to grow their own 5 plants since 12/9/2017 (see info here: https://www.pgmcg.nl/medicinale-thuiskweek/toestemming-in-tilburg/) Lots of patients are buying the cannabis in the coffeeshops, because there are not enough strains available in the pharmacy, and probably also due to the high price and because of the gamma radiation.